In the Donetsk region two civilians are reported wounded, the official site of Donetsk regional administration. "According to the medical institutions of Donetsk region two civilians got wounded on 28 April in the zone of the antiterrorist operation," reads the statement. 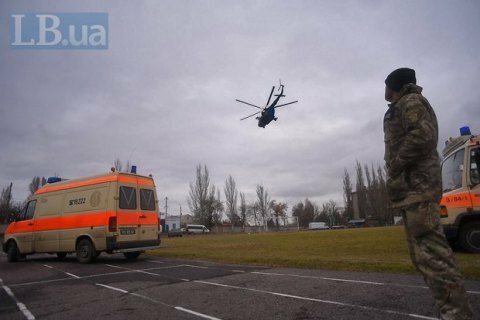 A resident of Dzerzhinsk received gunshot wounds, while another resident of the Donetsk region stepped on a land mine and was hospitalized in the surgical department of the central district hospital of Kostyantynivka. The ceasefire was violated 22 times over the past day.